Caring for your finances should always be at the top of you ‘to-do-list’. And, it’s even more important when we’re hit with a recession. In light of the recent Brexit outcome, some experts are predicting another financial crisis on the horizon. In this article, I’ll tell you why it’s important to care for your finances during a recession, and some steps to help you do just that. There are many reasons you should look after your finances during a recession. But, the main reason is that it leads to greater financial security. You can feel a lot safer if you know you have security and stability. It’s not a nice feeling going through a rough patch and worrying about your money every day. Secondly, it helps keep your family happy and living a good life. If you aren’t taking care of finances, then family life is the first thing to suffer. You might have to move home, and that puts a lot of stress on a family. Finally, it makes the whole recession experience a lot easier to bear. You may think that some people aren’t affected by a recession at all. You look at them and wonder how they can still spend so much money with confidence. Well, the reason for this is because they take care of their finances. They have everything in order, and can cope with the situation they’re in. Now, what can you do to ensure your finances are in good shape during a recession? Below are some helpful tips that help prevent any money problems. My first tip is something you should do from an early age, save! Saving money is the best way to get yourself into good financial shape during a recession. The more you save, the more you’ll have in the bank to help you out. Do this before a recession and during it for the best results. During times of financial stress, money can be hard to come by. There may be days where you need a lot of cash to finances important purchases. And, failing to pay for essential things can land you in debt. Luckily, there are some ways you can get extra money in short bursts. One of which is asking friends and family for help. But, we’ll go into that in more detail later on in this piece. What I’m focusing on now is using loans responsibly. If you use loans correctly, they can help you out of tricky financial situations. 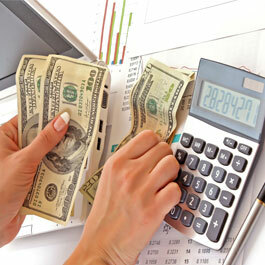 You can get things like Swift Money loans to assist you with important purchases. The key is ensuring you don’t rely on loans as a permanent solution. They’re something you have to use in moderation. If you become dependent on them, then you’ll just end up in even more financial bother. During a recession, you see more and more people turn to loans as a way of helping them out. It’s a popular idea but does come with risks. Don’t bite off more than you can chew with a loan. Only take out as much as you can afford. I mentioned asking family and friends for help in the above paragraph. And, now I’m going to explain why you need to do this, and how it can assist you. The problem is, many people are too afraid to ask for help from people they know. They don’t want to get judged, and feel like it makes them inferior to the people helping them. Well, the fact is, there’s nothing to be ashamed of if you get yourself in financial bother. Especially during a recession, when things can take a turn for the worse with ease. Unemployment rates rise as more people get made redundant. So, there’s a high chance you could end up without a job and struggle for money. There’s nothing embarrassing about that, and people are willing to help. You should talk to your close family and friends for advice at the very least. They may have contacts that can help you, or be able to help you themselves. Your close family, in particular, will be more than willing to assist you. The last thing they want is to see someone they care about struggling. They might loan you some money, which you can pay back when the time is right, and your finances are in order. Use all the information in this article to guide you through tough financial times. You’ll find life a lot easier to bear.